Being from Cuba, people assume automatically that baseball is my favorite sport. Although I can play a mean second base, my favorite sport is actually basketball. I fell in love with basketball months after arriving to the United States and my favorite team since then has been the Miami Heat. I remember Tim Hardaway and Alonzo Mourning, and Dan Majerle and P.J. Brown, all making basketball history with their plays. Of course, back then, Michael Jordan and the Bulls ruled the Eastern Conference and it was almost a guarantee that they would win. And yet, unlike many bandwagon fans, I always remained loyal to the Heat, even as they faced against one of the best players of all time. When the Heat won the 2006 NBA Finals, I was overjoyed. They had a wonderful team and deserved to win. Dwyane Wade was terrific then. Likewise, I was heartbroken last year when they lost against the Dallas Mavericks (who they beat in 2006). Now this year, they are in the finals again. How many teams can say that? This team is more complete than the one in 2006, and they definitely play better together. Wade is not as young as he was, but he can still make plays. And Lebron James? Well, he's already considered to be one of the greatest players of all time and he still has a long way to go. All he is missing is that trophy and he wants it more than anyone else in the league. I'm rooting for the Heat to win it all this year and I believe they can do it! UPDATE: They did it! The Miami Heat are the 2012 Champions!!!! 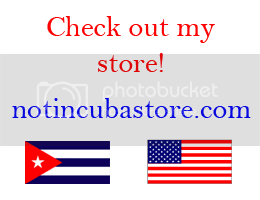 Posted in funniest blog ever, miami heat, not in cuba anymore . Bookmark the permalink. RSS feed for this post.